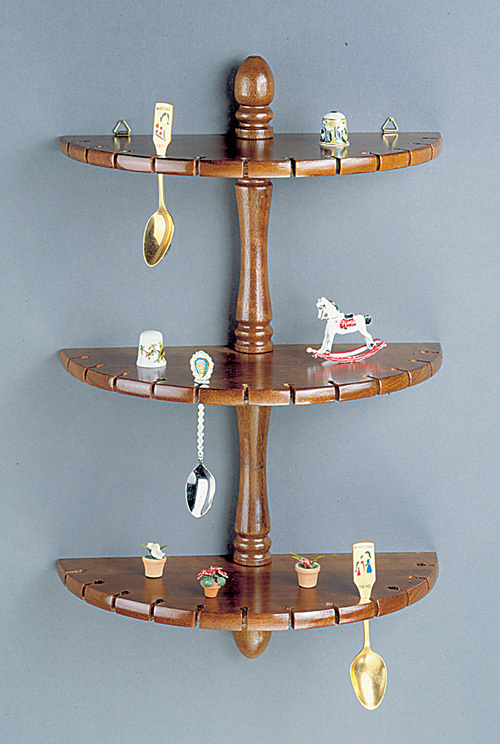 Uniquely shaped half round walnut finish shelved spoon rack is the perfect way to display not only your collectible spoons, but other trinkets you've picked up along the way. Holds 36 spoons and many little treasures on it's shelves. Rack measures 11" W x 17-3/4" H x 5-1/2" D. Spaces between the spoon slots are 1" wide. Attractive, functional and affordable!